Following the release of a U.S. assistance program prisoner who has been held in a Cuban prison for five years and an unnamed agent who has been held for twenty, and a reciprocal release of three Cuban prisoners held by the United States, the president is finally moving forward in reestablishing diplomatic relations with the island nation. Secretary of State John Kerry announced that the diplomatic agency would be sending a delegation to Havana in January to continue talks about migration between the two countries. “I look forward to being the first Secretary of State in 60 years to visit Cuba,” he said at his announcement. Really Sen. Rubio? Appeasement, as if making it easier for people with a mission to travel to Cuba were like handing Czechoslovakia to the Nazis? But if that is the prevailing sentiment of the incoming, Republican dominated Congress, it will be exceedingly difficult to get the embargo entirely lifted, as Congress has to vote to do it. Still, given the changing attitude most Cuban-Americans have about America’s decades long stand against the Castros, there is a good chance Republicans will find enough courage to include Democrats in their voting bloc. The numbers for those wanting to restore diplomatic relations were overwhelming: 68% of all respondents and 88% of young people, under thirty. More importantly to the folks on Capitol Hill, the FIU poll also concluded that 55% of registered voters approve of restoring diplomatic ties. If the Republicans want to be the party of the future, they can’t ignore that FIU says it’s only the 70-plus crowd that want to maintain the status quo. Still, the rhetoric of cautious responsibility is par on this course that crosses the Florida Straits, especially when we’re talking about swing-state politics. “I don’t think we should be negotiating with a repressive regime to make changes in our relationship,” former Florida governor and likely 2016 presidential candidate, Jeb Bush, told reporters. At the same time, as Sec. Kerry said, “Today’s step…reflects our firm belief that the risk and the cost of trying to turn the tide is far lower than the risk and cost of remaining stuck in an ideological cement of our own making.” And that is what will take convincing for the conservatives in Congress, that we, and we alone, are responsible for a meaningless and unproductive embargo, not the Cuban people, and they shouldn’t be made to suffer because of our own stubborn lack of political will. Now, if we can only get Israel to put an embassy in Tehran. PG, although it is early to be reading into this policy change, it seems that their was no quid pro quo. What about reparations for the confiscation of American property in Cuba? Aircraft hijackings? Aircraft shoot downs? The undermining of US policy initiatives in Latin America and Sub Saharan Africa? What about the support to our enemies that Cuba has given? Alan Gross’s kidnapping. Releasing murderers and accessories to murder in exchange. Drug trafficking…I could go on. Their is no moral equivalence with Cuba. It appears that the President has just given everything and received nothing in return. 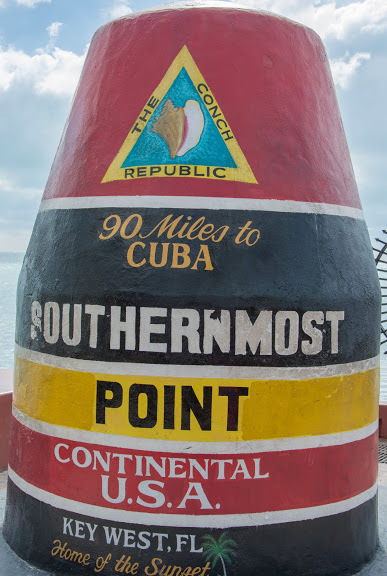 I would prefer to wait for Cuba to come to us…not the other way around. So should I put you down as a “no” on restoring diplomatic relations, then? First, not only did we get Alan Gross back, we also got back one of our own spies who they’ve had in prison for 20 years. Second, and this is the main point, restoring diplomatic relations is just the first step. It’s not like we’re going to party like it’s 1955. When you restore peace, you cannot do it while still holding on to old grievances. The best, most recent example is Vietnam. Our relationship with them still isn’t perfect, but there is cooperation across all sectors, despite our history with them. Think about Japan and WW2. People were outraged by what many considered the barbarism in their POW camps. They are now one of our closest allies in the Pacific Rim. Sure, there are Cuban exiles who won’t have anything to do with their native land, just as many Holocaust survivors won’t go to Germany or Poland or Ukraine. But international relations don’t go on hold because one group has an issue with it. I’m not saying their feelings aren’t valid. I’m just saying the world works better when countries deal with each other civilly. Finally, the embargo has not worked. We are pretty much the only country that still has these sanctions on Cuba, and they have much more symbolic than practical value. For many, the symbol is a dysfunctional lack of compassion for our neighbors. Castro and company have built a political machine, personal financial fortune and a legacy around publicly sticking a poker in our eye. Cuba no longer has a financial sponsor and is nearing financial collapse. BHO just threw communism and Castro a lifeline. Alan Gross was kidnapped, he was not a spy. He was taken to be used as leverage. Castro was successful with that scheme. Castro should be doing everything possible to restore diplomatic relations with us. He has done the opposite, at least publicly. Vietnam is a poor example for your argument. They are not in our hemisphere and have been open to diplomacy since Nixon was president. Additionally, Germany and Japan were defeated and acquiesced to our will, then became allies. Finally, I do not care about the wishes of the exile community. I care about the interest of our country. If we do not defeat our opponent, we should at least make them fear and respect us. While Gross was certainly not a spy, they had a U.S. spy in custody for 20 years who they also released as part of this deal, as well as releasing 50 political prisoners domestically, which international agencies have promised to monitor to make sure they are not hassled or re-arrested. It is precisely because it is in our hemisphere that we put the freezing out of our nearest off-shore neighbor to thaw. Requiring “fear and respect” is no way for a country that espouses liberty to get along in this world. That’s the Putin way. Cuba hasn’t been “our opponent” militarily for a very, very long time. They are only an ideological one, and that’s not enough of a reason to shut them out. We have better relations with Russia – trade, travel – than we do with Cuba. As far as the exile community, they are part of our country. No political prisoners have been released. Although the Cuban Jewish community is thrilled that Gross has been released, the Catholic organization, Women in White, is furious with the deal that Obama made. The mention made about our hemisphere was regarding the bulwark that our policies have made for over 100 years to prevent anti American aggression, anti democratic government formation and communism taking root in Latin America. Although our policies have not been 100% effective, it has worked very well in the long run. Fear and respect is exactly what the world needs to show America. It is not the Putin way. We are not invading our neighbors. We can espouse liberty and still bomb a country and use drone attacks, which we have not done in 65 years to Cuba. Our ideological battle was to be won by waiting out the Castro government. This was effective with the Soviet Union, Libya, China, Indonesia and others. Why is BHO changing policy right when Cuba is out of lifelines? We do not need Cuba’s trade or resources, they need ours. We want their socialistic form of government to collapse, fail and allow religious freedoms, freedom to travel, speak and other basic rights to their citizens. We have brought shame to our export of liberty in the eyes of the Cuban activists. My comment about the exile community was not to deny their part in our community of citizens, but to emphasis’s that our national interest supersedes their community interests. I would add that our national interest should superseded the petty progressive party agenda of a sitting president. Why is nobody talking about Carter’s efforts to reach out to Castro during his presidency and the failure of that policy? Over 10,000 people were risking their lives to leave the economic and political oppression of Cuba, Castro played Carter like a puppet.